Mario (or Super Mario) is a character created by Shigeru Miyamoto and he is the mascot of Nintendo. Mario has starred in many games since his inception. He was the protagonist in the arcade game, "Donkey Kong", where he was known only as "Jumpman" and was a carpenter instead of a plumber. Later, "Donkey Kong Jr." gave him the name "Mario". In Mario Bros. he was paired with his brother, Luigi, and given the job as a plumber. Since Super Mario Bros., Mario has claimed residence in a place known as the Mushroom Kingdom, where his primary job seems to be rescuing Princess Peach from the clutches of Bowser, the Koopa King. Since 1985, other notable characters have been introduced, including Yoshi, Toad (Also the name for the mushroom citizens), Wario and Waluigi. Mario has appeared in nearly 200 games, and he is the best selling video game franchise of all time. Due to his success, Mario Fan Games Galaxy was born, and Mario fangaming began. During the early 1990s, rival company Sega created Sonic The Hedgehog as their "Mario killer" for their 16-bit video game console, the Sega Genesis (known as the Mega Drive outside of the United States). Sonic was meant to be better than Mario in every way and their rivalry kicked off one of the greatest console wars of all time. However, as Sega are now third party developers, Sonic and Mario are now appearing in games together, such as "Mario & Sonic at the Olympic Games", "Super Smash Bros. Brawl", and "Super Smash Bros. for Wii U and Nintendo 3DS". 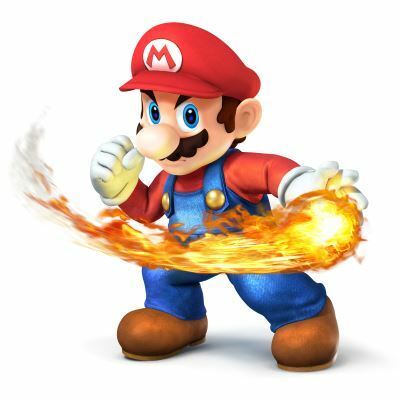 Mario is a flexible character, and although mainly stars in platformers, he has been known to star in many sports and RPGs games, as well as take on several different occupations. 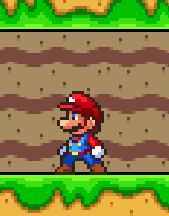 Members of the community attempt to re-create these games for entertainment purposes, many of which have become quite popular (like the TV previewing of Super Mario: Blue Twighlight DX). Sprites are also made of him by the community too, for use in fangames, comics, and the like. Mario is the basis of Mario Fan Games Galaxy itself, hence the name Mario. Many MFGGers have based their internet aliases, characters, or refs after Mario or Luigi. This is looked down on by most other MFGGers. MFGG has hundreds of fangames on its mainsite, most of which involve Mario in some way. Because of this, his main design is incredibly well known and iconic. However, this extreme degree of iconic value also allows fangamers to take artistic liberty with his design. Many fangames have altered his proportions, clothing, or even the fundamental design concept. This page was last edited on 16 December 2016, at 03:22.